There’s few experiences more magical than snorkelling in crystal clear waters with bright coloured coral and marine life. There is however one thing that can really ruin the experience - poor quality snorkel gear. Below we look at what the key considerations should be when buying a mask and snorkel set along with our recommended products in the market, including a range of options to suit all preferences and budgets. A high-end, lightweight mask with a black 100% pure silicone skirt that blocks light to improve visibility. A favourite of divers and snorkelers alike, this is the original dry snorkel and utilises all the latest snorkel technology. Low volume, lightweight, frameless mask that comes in two sizes and a extra wide neoprene head strap. Dry snorkel with one-way purge valve and 100% silicone mouth piece. A very popular mask from industry leaders Cressi, utilising Crystal Silicone to prevent ageing and discolouration. It also features a unique skirt design that fits a wide range of faces. Well designed, high quality dry snorkel at an affordable price point. This set includes Cressi's very popular Big Eyes Mask along with the Supernova Dry Snorkel discussed above. An option for those on a budget, the Ocean & Earth Atoll mask is made from silicone and features a flexible snorkel tube and purge valve. Arguably the most important part of all your snorkel gear is the mask skirt. This is the material that seals the mask to your face and is the often the key to a comfortable and enjoyable snorkelling experience. All good quality masks are manufactured with a silicone skirt, which provides superior comfort, seal on the face, and durability over plastic based alternatives. The decision on skirt colour is mostly personal preference however there are a few things you should know before making your choice. Black silicone skirts generally provide a clearer view under water as the dark frame around the eyes blocks unwanted light and therefore reduces reflection on the inside of the lens. They are therefore the preferred choice for most photographers and hunters. Clear skirts on the other hand, provide a much more airy experience and are often preferred by those who experience claustrophobia when snorkelling. They are also often the preferred option for divers in low light environments. There’s no right or wrong choice but depending on the environment you expect to use your mask in you may lean towards one of the other. The lens on your mask should be made from tempered, impact resistant glass, not plastic. Tempered glass provides the best performance for both visibility and safety. Also, almost all new masks will fog for a period of time, so ensure you use anti-fog product (or toothpaste) prior to use. Full face masks are a fairly new phenomenon and are quite polarising in the world of snorkelling. 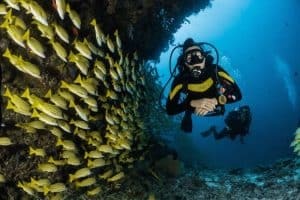 Some people love the improved visibility provided by the full face mask, reduced fogging, and the freedom of being able to breathe through your nose or mouth without a snorkel. Others struggle to get used to the design, find breathing more difficult, and dislike the fact they aren’t as suitable for diving underwater. In this article we look at traditional style masks only. If you are interested to learn more about full face mask, check out our buyers guide here. Believe it or not, there are many features to consider when choosing a snorkel. 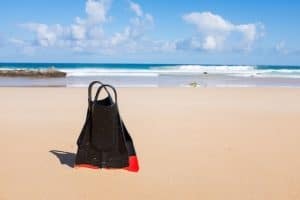 The majority of the advanced features are designed for scuba divers and not necessary for snorkelling, however there are some features that we think anyone snorkelling should utilise. Below we outline the key considerations you should look at when comparing snorkels. 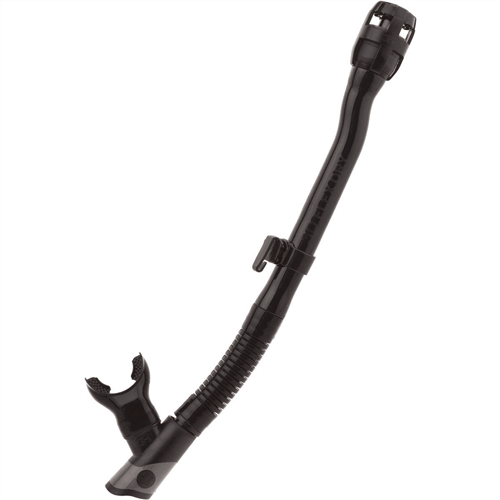 We recommend a flexible snorkel tube simply because they are more comfortable. 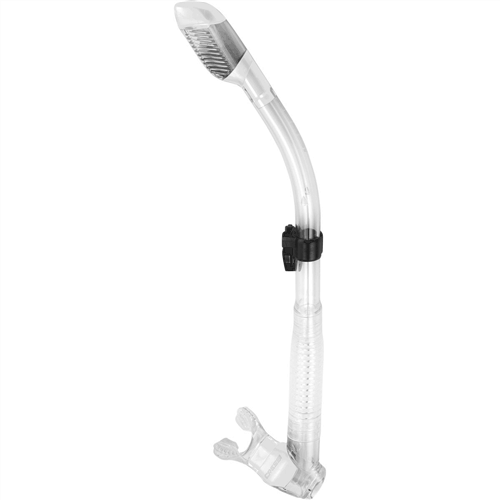 The flexible tube means you are more likely to find the right angle to fit your face, and it is also easier to use in terms of taking the mouthpiece in and out while in the water. Silicone is the recommended material for your snorkel mouthpiece as it is both comfortable and durable. Some cheaper products use a plastic compound called silita which is less comfortable and will warp over time. Purge valves are located at the bottom of the tube, close to the mouth piece, and are now common place on most mid-high range snorkels. They consist of a one way valve allowing the user to blow water out the bottom of the snorkel, which is a lot easier than out the top, as required with a traditional snorkel. These features reduce the amount of water that enters the tube while snorkelling. 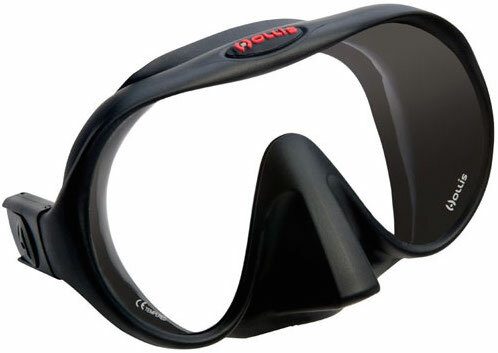 A semi-dry snorkel comes with a splash guard that protects the opening from waves. A fully dry snorkel has a valve on the top of the tube that is designed to prevent 100% of water from entering. 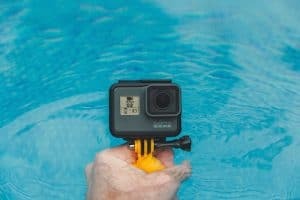 The valve even keeps the tube fully sealed when you dive under water, so there’s no need to clear the snorkel when you re-surface. An awesome feature but ensure you buy from a reputable brand to be sure the valve works as expected. It is worth mentioning that no snorkel is 100% dry and even the best products on the market will let some water in. This is where you rely on the purge valve to provide easy clearing of water. Our opinion is that if you purchase a high quality dry snorkel like those listed below, you are likely to find these still provide a more enjoyable experience than the traditional style snorkels. 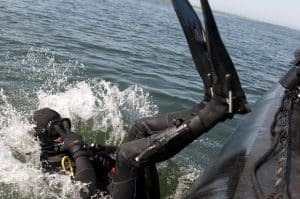 With all products being designed and manufactured in the USA, Hollis are known for making premium diving and snorkel gear with a focus on bringing cutting edge materials and engineering techniques to the industry. The M1 Frameless Mask is their most popular mask and receives rave reviews from both recreational snorkelers and technical divers alike. Being frameless means the usual thick plastic frame is not included in the design, with the mask strap instead being connected directly to the silicone skirt. This results in a frame that is lighter and lower volume, with the lens being closer to your eyes and providing improved visibility. As with all masks, personal experiences with comfort are likely to vary. However the M1 from Hollis is generally considered to be one of the more comfortable masks on the market and suits most face types. XS Scuba are an innovative, award winning dive gear company, who design and manufacture some of the best gear on the market. The 3D Flex Dry from XS Scuba is the original dry snorkel and a favourite amongst snorklers and divers. 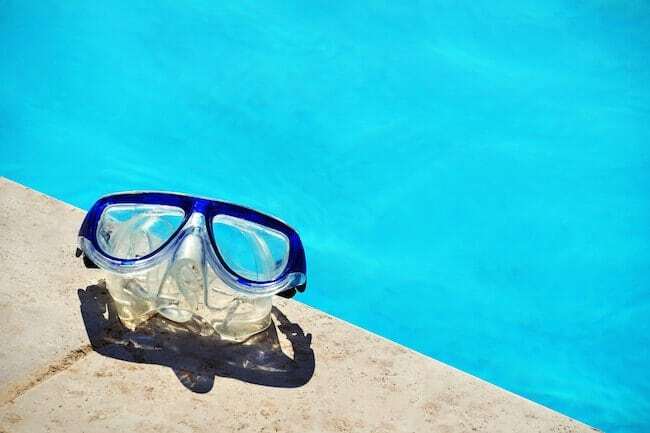 Being a dry snorkel, it utilises a floating valve system that closes on contact with water, so no water can enter the snorkel, even when fully submerged. This means there is no need to clear the snorkel, even after diving under water. The valve opens again automatically after surfacing. Some people report they find it slightly harder to breathe through a dry snorkel than the traditional variety but for most, the pros easily outweigh the cons. The 3D Flex Dry also features a corrugated tube which allows flex, meaning it drops away from the face when not in use, and assists with finding a comfortable fit for the mouth piece. The mouth piece is made from high quality silicone and is removable and replaceable. There is also a purge valve at the bottom of the snorkel which can be used to easily clear out any water that does manage to make its way in. Overall this is an awesome snorkel utilising the latest in dry snorkel technology. A similar mask to the Hollis M1, the Oceanic Shadow is also a low volume frameless mask which is very lightweight and comfortable. This mask provides some of the best visibility on the market, through its low volume design and high quality tempered glass lens. Because of the superior visibility it provides, Oceanic recommend this mask for photography and spearfishing. 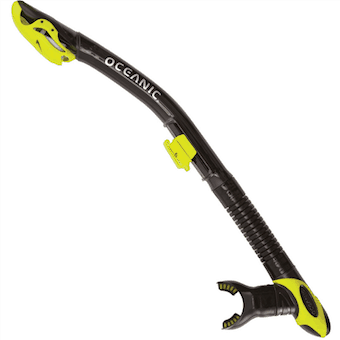 Another super popular dry snorkel, the Ultra-Dry from Oceanic comes with all the features you would expect from a high quality dry snorkel. The patented dry technology will keep out almost all water, with a one-way purge valve included for easy clearing should any water get in. The design is low profile and made for comfort, with the replaceable mouth piece being made from 100% silicone. A quick release mask clip makes for getting you gear on and off a breeze, while the corrugate section of the tube improves comfort and possible mouth piece positions. 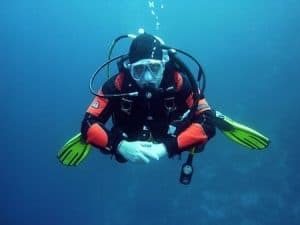 Some users do report discomfort relating to the mouthpiece after prolonged use so if you think this may be an issue you may want to consider the 3D Flex Dry from XS Scuba discussed above. Cressi are one of the most respected manufacturers in the industry, and have been making their snorkel and dive gear in Italy for over 50 years. The key advantage of this mask is the unique skirt design that allows it to fit a wide range of faces - perfect for people who have trouble with leaking masks in the past. This mask is based on Cressi’s super popular Big Eyes masks, but with their latest design and material technology added to provide improved comfort and visibility. The difference between the Big Eyes Evolution and the Big Eyes Evolution Crystal, is that this model is manufactured with Crystal Silicone, which resists aging and prevents skirt discoloration and fogging. The low volume design means the lens is located close to the eyes resulting in superior visibility, with clear silicone skirt providing the experience of almost forgetting you are wearing a mask. Overall a really great mask and a particularly good option for those who are concerned with finding a mask that fits their face. 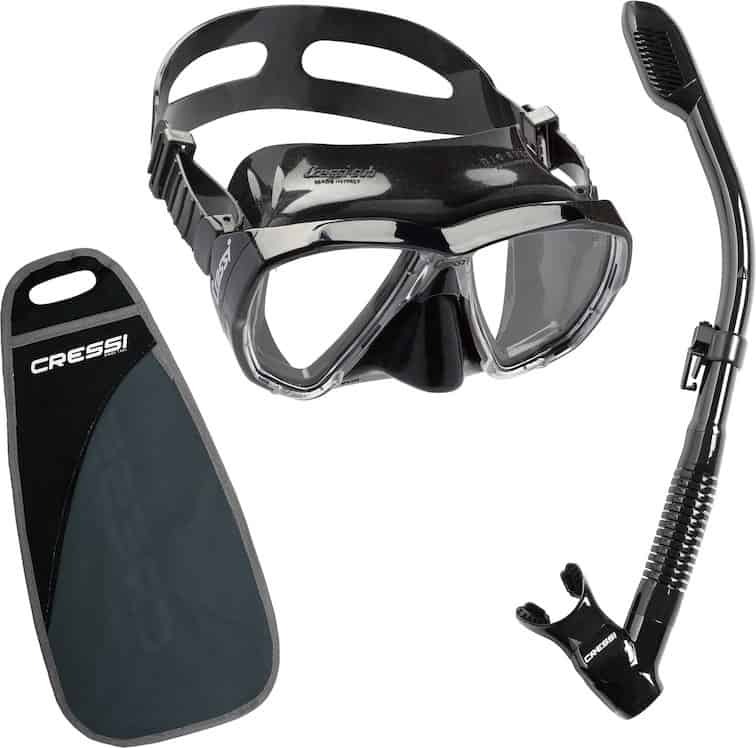 This Cressi snorkelling set includes the Supernova Dry Snorkel discussed above, along with the Cressi Big Eyes Mask. The Big Eyes Mask has a reputation for fitting a wide variety of face shapes. The lens is made from tempered glass, while the skirt is 100% silicon. 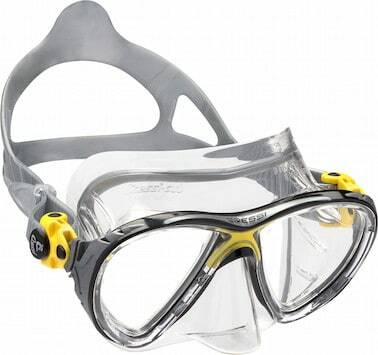 A good quality, durable, comfortable mask with great underwater visibility. You’re unlikely to find a better value snorkelling set than this. With Cressi’s reputation for affordable quality, and the thousands of positive reviews for both this mask and snorkel we think this is a great package. It is targeted perfectly at the regular snorkeler, or a beginner who wants to make a small investment in quality gear. 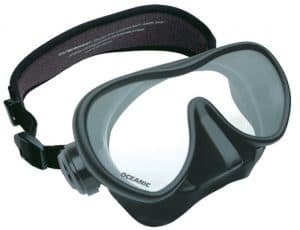 The Atoll mask from Ocean & Earth is the cheapest mask and snorkel combination we look at and definitely an option more suitable for individuals who expect to use their snorkel gear less frequently. 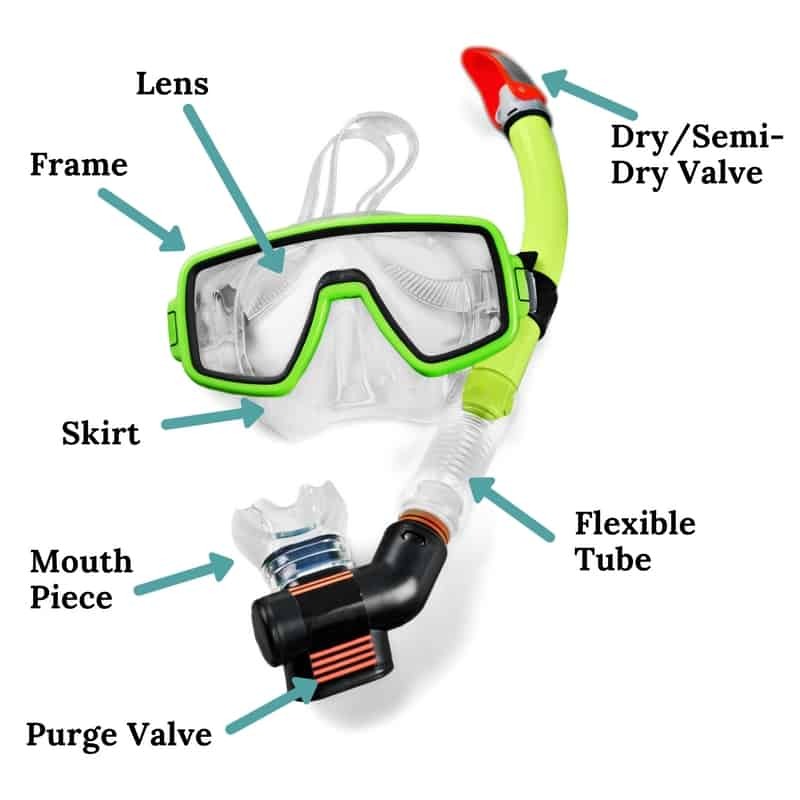 It does however provide the basics of what you should be looking for in a mask and snorkel set - silicon skirt and mouth piece, high impact lens, flexible snorkel tube, and a purge valve. If you’re on a budget you could do a lot worse than this mask and snorkel set from Ocean & Earth.